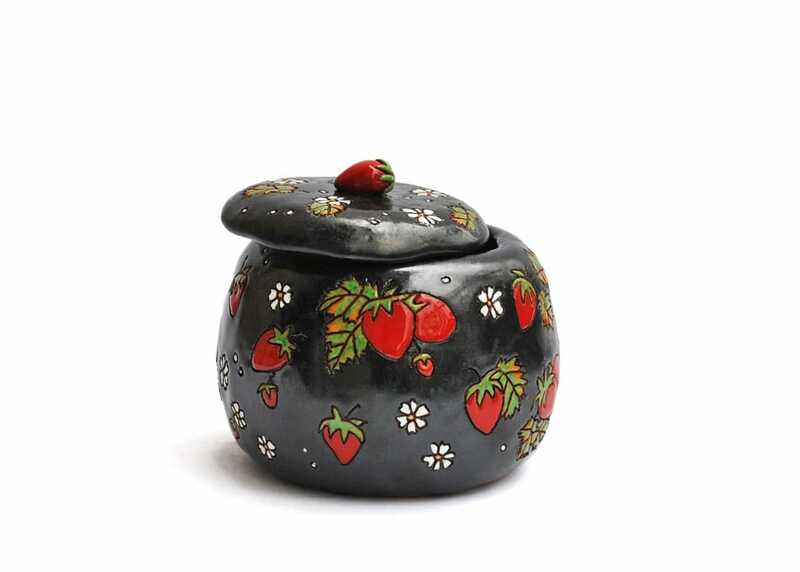 This little fairy tale box decorated with strawberries, each hand-painted with great care and covered in glaze, is a perfect place to hide your memories. 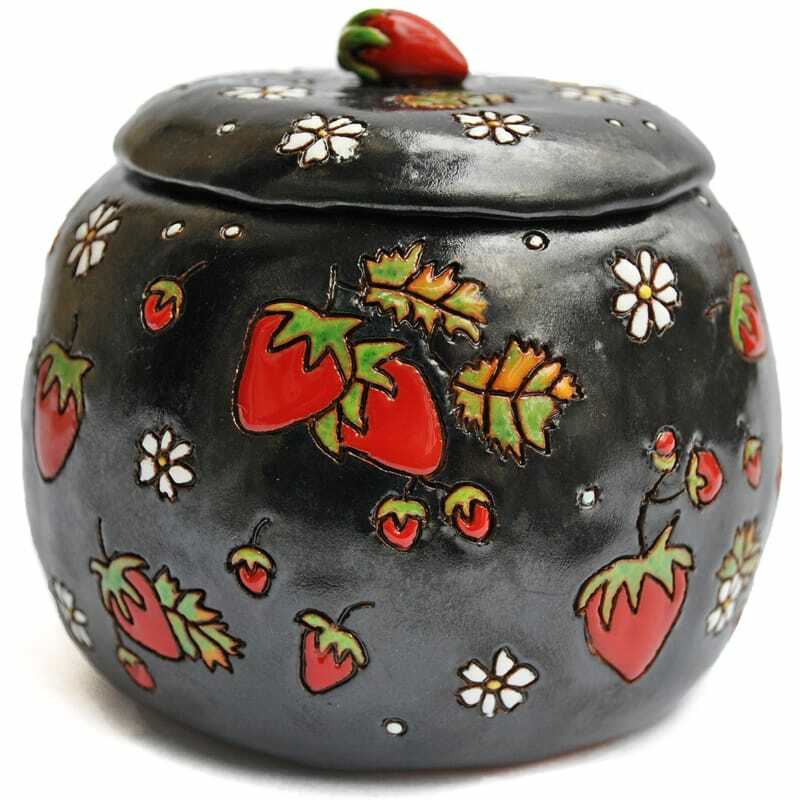 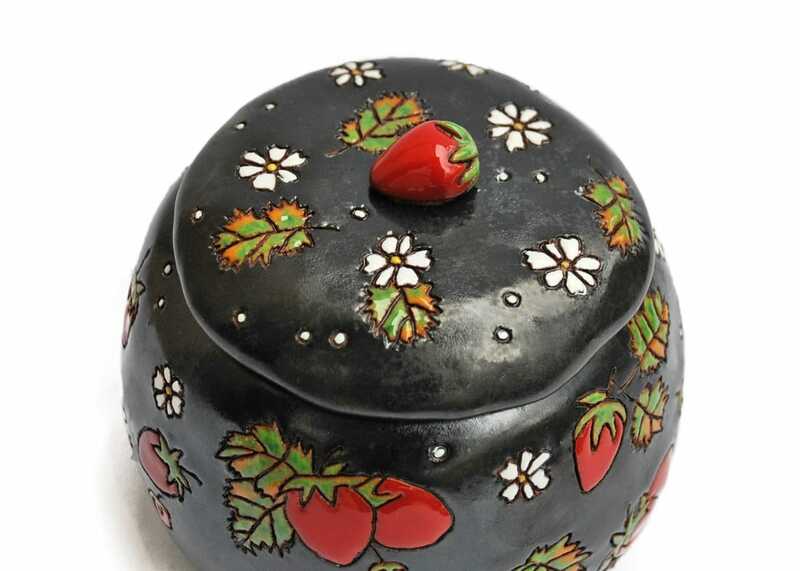 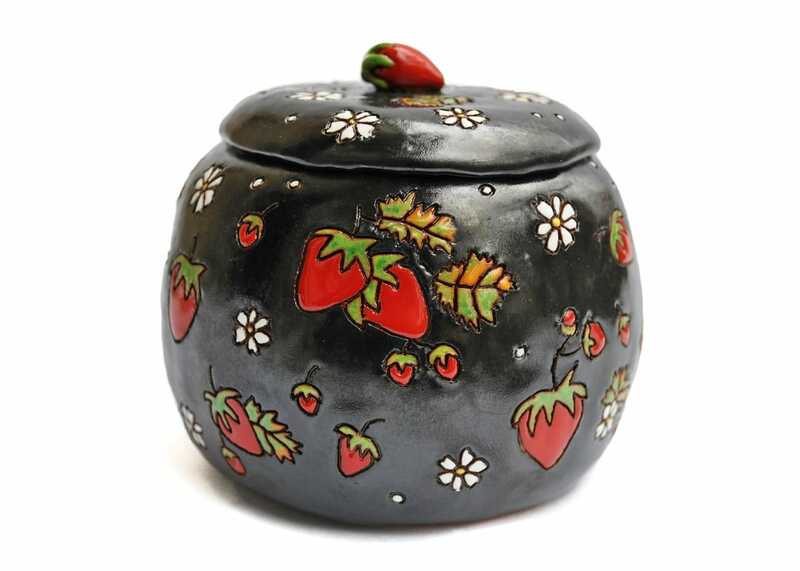 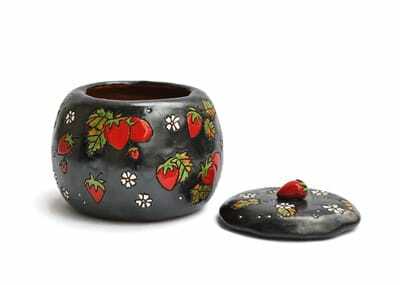 The black matte background glaze makes the strawberries really pop up and gives a soft soothing feel to this treasure box. ​The box is approximately 10 cm (4 inches) tall.